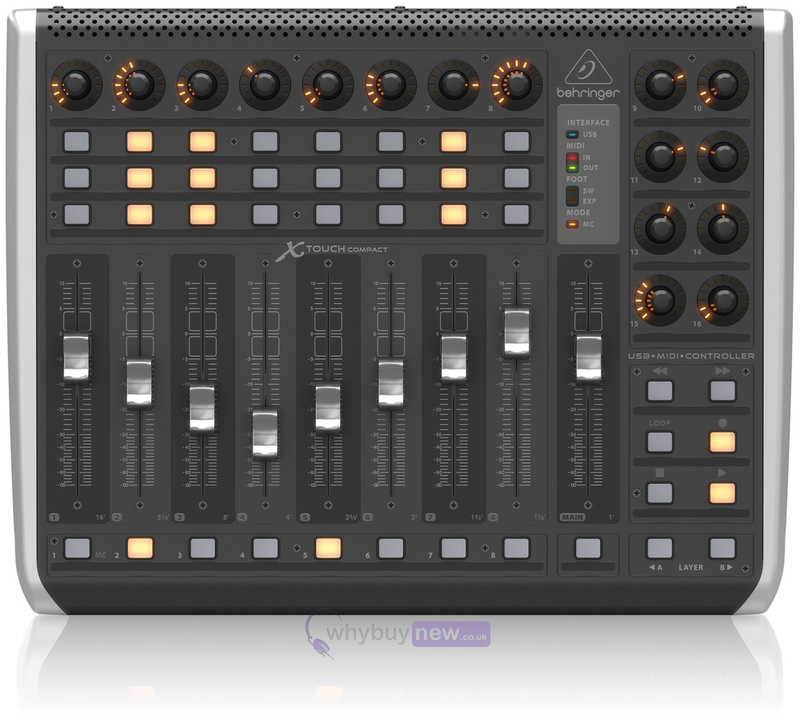 The Behringer X-Touch Compact is a universal USB / MIDI controller that has a lot of great features, one being that it is a universal remote for DAWs, instruments and even for lighting effects! 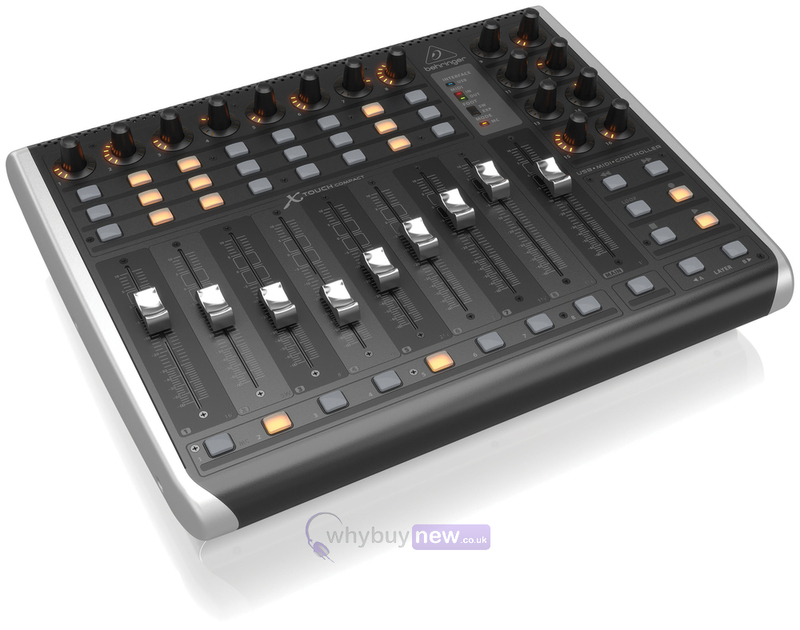 This means the Behringer X-Touch Compact can be used for a huge variety of applications and these applications can be for live use or for studio use. 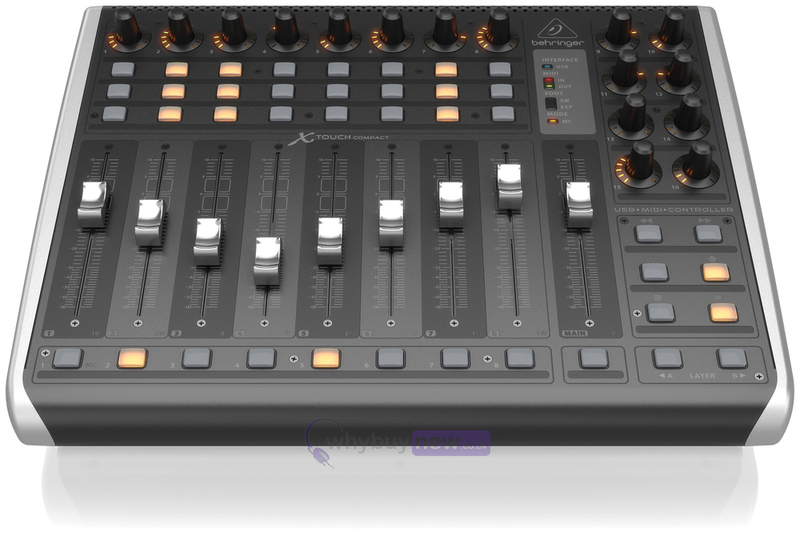 Another great feature is the touch sensitivity on the 9 faders that means as soon as you touch them it goes to that channel! 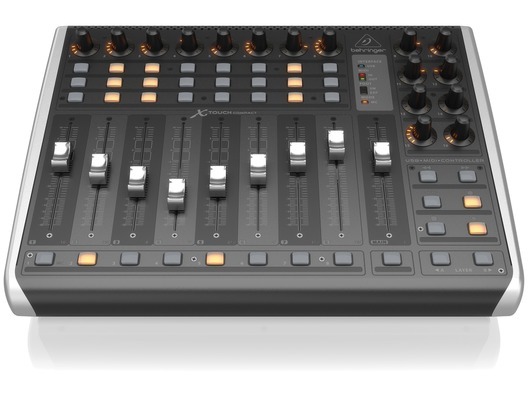 The X-TOUCH COMPACT Universal USB/ MIDI Controller gives you precise control over your favourite DAW, instruments, effects and lighting systems with the fluidity of 9 touch-sensitive and fully- automated motorized faders, 16 rotary encoders with LED collars and 39 illuminated buttons. Free yourself from the mouse-click paradigm with X-TOUCH's preconfigured presets or customize your own configurations to master the art of on-the-fly adjustments as ever before! Todays DAWs, instruments, effects and lighting applications are designed to interface with controllers that enable users to make high-precision changes with minimal effort. Built-in Mackie Control emulation allows your X-TOUCH COMPACT to work with virtually any professional audio production software imaginable as soon as you take it from the box no setup required! Your music is the embodiment of your imagination and creativity. Your controller should be equally inspired and dynamic in its response to your creation. 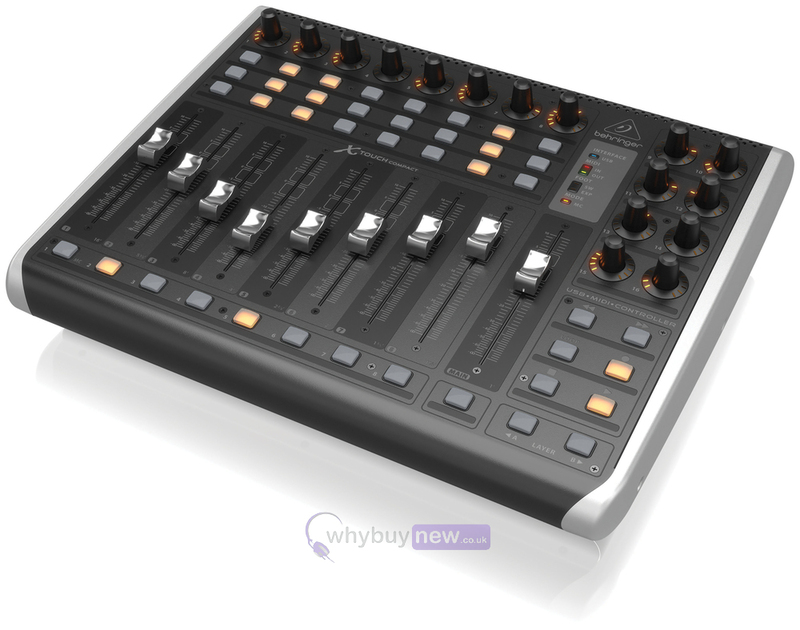 Thats why the X-TOUCH COMPACT features 9 fully automated and touch-sensitive 100 mm motorized faders. Every move or automation you write can be seen in the movements of each fader in real time, perfectly synced with your DAW. 16 beautifully equipped rotary controls featuring LED-collars that provide an amber-hued visual read out couple with 39 illuminated buttons to make the X-TOUCH COMPACT a feast for the eyes as well as the hands. They provide direct access to preconfigured or user-mapped key functions. Know in brilliant color if a channel is muted or soloed and see how hot the level is pumping as you make changes during recording or mixing. Arm multiple tracks or adjust panning at the same time and marvel at how you ever relied on a mouse to do a controllers job. The built-in USB interface allows you to connect the COMPACT directly to your Mac or PC for easy right out-of-the-box installation no drivers required. Complete USB and 5-pin MIDI integration means you'll be able to interface with more of your favourite devices. Easily connect to a computer via the primary USB port, while simultaneously connecting an external MIDI device. The dedicated footswitch connector and one foot controller input provide external remote control. The powered multi-TT USB hub provides connectivity for 2 more controllers so it can grow with your career. A "Planet Earth" switching power supply gives you maximum flexibility and efficiency for energy savings. Best of all the X-TOUCH COMPACT will work flawlessly wherever and whenever you plug it in. Visit your local dealer or online reseller and get hands-on control of your software in a way you never thought possible. The X-TOUCH MINI lives up to the old adage that big things come in small packages!